At Mind’s Eye, our artisans restore fine and antique furniture to preserve function and value. Some damage is catastrophic, like fire or flood. Some are simply wear-and-tear from daily use over time. And sometimes, we are repairing mistakes owners have made in the course of trying to care for a piece they dearly love and want to maintain or improve. So how can you avoid accidentally damaging your furniture or its value? Liquid polishes, like oils, give a brilliant sheen but only until they dry—and will both muddy the surface of your wood over time and attract dust. We typically advise clients to stick to paste wax polishes and cleansers that don’t contain silicone to clean or polish wood. Yes, it’s a bit of a workout to buff your wood furniture to a proper glow, but if you want to preserve the finish of your wood, it’s worth it. Make sure your wax contains no silicone or grit, and get to work! 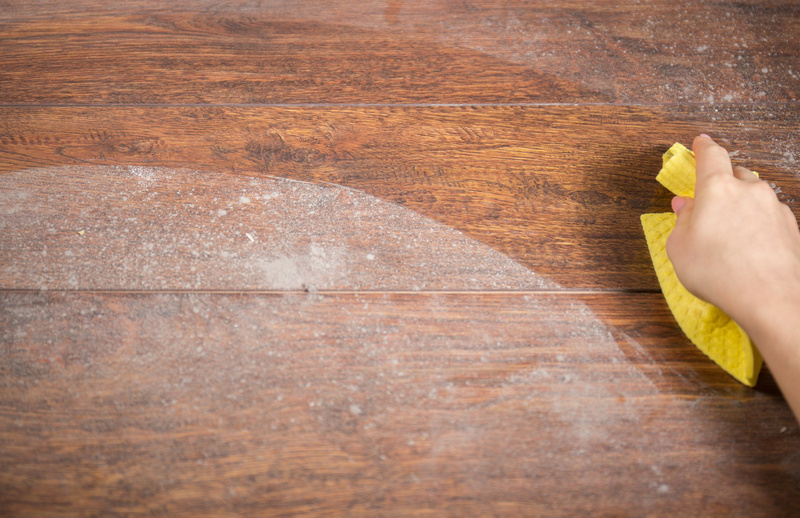 The best cleaning method for wood will depend on the type of wood and finish, but all-natural ingredients like mineral oil, olive oil, lemon oil, and vinegar can work wonders. Try to use a lint-free cloth and dust with a feather duster between cleanings. Make sure whatever you choose is non-abrasive. Marble does stain easily. If soap and water don’t do the trick, ask your local hardware store for a professional poultice powder. Soap and water will remove most stains without damage as long as they are thoroughly wiped away. If your leather has been stained with an oil or grease, however, don’t use water, or any other commercial cleanser. Wipe away as much excess as you can and wait for it to absorb into the leather. The proper cleanser will definitely depend on the type of fabric and whether or not it was pre-treated for stain resistance at the factory. Soap, water, and air-drying are usually safe, but read any instructions you were given at purchase carefully before making your choice. Painted wood furniture will discolor, fade, flake, and sustain scratches over the years, especially around edges no matter how carefully you clean. If “shabby chic” isn’t your personal decorating style, it can be tempting to refresh painted furniture with a new coat of paint or stain in your favorite colors. If you believe a piece has monetary value—or it’s just really valuable to you—ask a trusted antiques dealer or conservator to advise you on the best course of action before you touch up scratches or completely transform a favorite piece of painted wood furniture. An original finish—no matter how unsightly—can be a significant factor in the value of antique furniture. Think timeless, not trendy, when you refurbish your furniture. Even for pieces with sentimental value, painting an oiled or unfinished wood is almost impossible to fully undo. Mahogany or country oak may not be on the cover of most décor magazines today, but as any designer will tell you that trends are cyclical. Everything that was stylish once will be stylish again someday. (And hot trends you see everywhere, like shiplap, will look dated a decade from now.) If a piece doesn’t work in your home, it might be better to put a family heirloom in storage and buy something new than to bring it in line with today’s tastes. Position furniture out of direct sunlight if you can. Love sitting in a sunny spot? Draw the drapes when you leave home or rotate your furniture regularly to spread that sunshine around. Don’t set furniture under windows if possible. If you do, be mindful of how quickly a summer rain shower can ruin a piece—close windows when you leave. Keep furniture away from radiators and vents. This can be a fire hazard, yes, but what you are trying to avoid is exposing wood to extremes of temperature and humidity. Don’t place water-filled vases and glasses or anything warm, like a cup of tea, on wood surfaces without a protective pad. It’s so easy to leave rings marked on the surface that are difficult to remove. Mind’s Eye furniture repair and restoration specialists give expert advice you can trust, handle transport and storage, source parts, and preserve character and value. Call 800-428-9800 to discuss furniture repairs with one of our specialists.